"Fine Art from our Home to Yours"
Home | GALLERY 2 | 2012 Opening | 2011 Opening | Porch View | M.E.E. The rotating photos above show just a few of the items that you'll find in the gallery. Click on any of the artists' names in the left margin to see more of their work. <--- On your left is the sign indicating that we're OPEN. 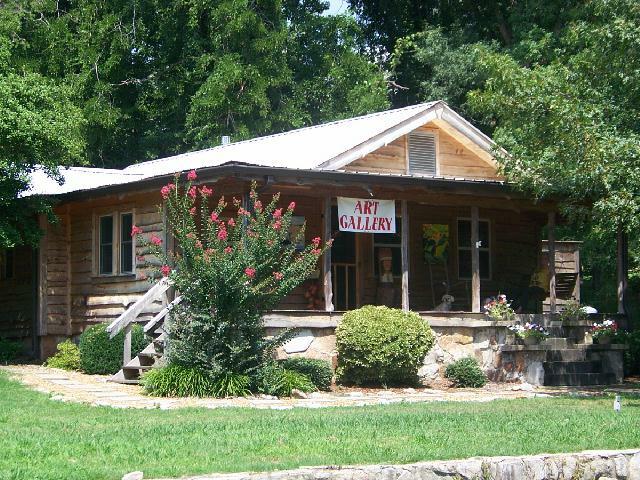 The Art Gallery @ Mentone is in the cabin across from the Post Office on AL Highway 117. You'll find us on the LIVE Downtown Mentone Map at MyMentone.com. 2nd Saturday Art - Right Across the Road! We've sold our gallery/home and moved to Boynton Beach, Florida! 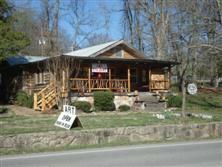 We've really enjoyed our time in Mentone, but have some opportunities in Florida that we can't pass up. 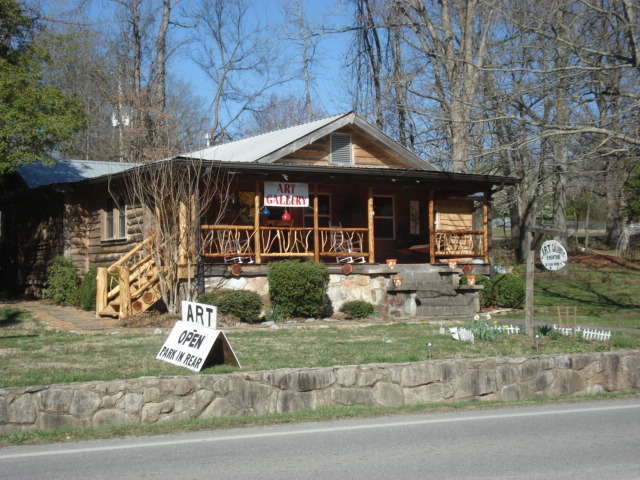 Planning to leave this website around for awhile, just for our own entertainment and to make sure people know what happened to that little art gallery in Mentone.